“Early Jewish and Christian traditions reported that Nimrod built the Tower of Babel, referred to as a pagan temple, in an attempt to contact heaven. Among the Jews, Nimrod’s name has always been a ‘symbol of rebellion against God and of usurped authority’: he ‘established false priesthood and false kingship in the earth in imitation of God’s rule and ‘made all men to sin” (Hugh Nibley, Lehi in the Desert and The World of the Jaredites, volume 5 of The Collected Works of Hugh Nibley , 156). Josephus, an ancient Jewish historian, provided additional insight. He noted that Nimrod had tried to gain power over the people. Nimrod probably felt this counterfeit temple would add to his control (see Antiquities of the Jews, book 1, chapter 4, paragraph 2).” (Liahona, March 1998). “The account in Genesis provides further insight regarding the significance of the building of the tower. First, the impetus in building this temple was to make themselves a name (see Gen. 11:4). In other words, Nimrod was proposing that they build a temple to receive the name of God without making eternal covenants. Second, they wanted to build this tower-temple so they would not be ‘scattered’ (Gen. 11:4). Latter-day revelation ties the sealing power to preventing the earth from being wasted at the Second Coming (see D&C; 2:3). One meaning of the word wasted in Joseph Smith’s day was ‘destroyed by scattering’ (Webster’s Dictionary ). Finally, the word Babel in Hebrew meant ‘confusion,’ but in Babylonian, the meaning was ‘gate of God.’ Nimrod and his people were building their own temple, their gate to heaven, without divine approval or priesthood keys. 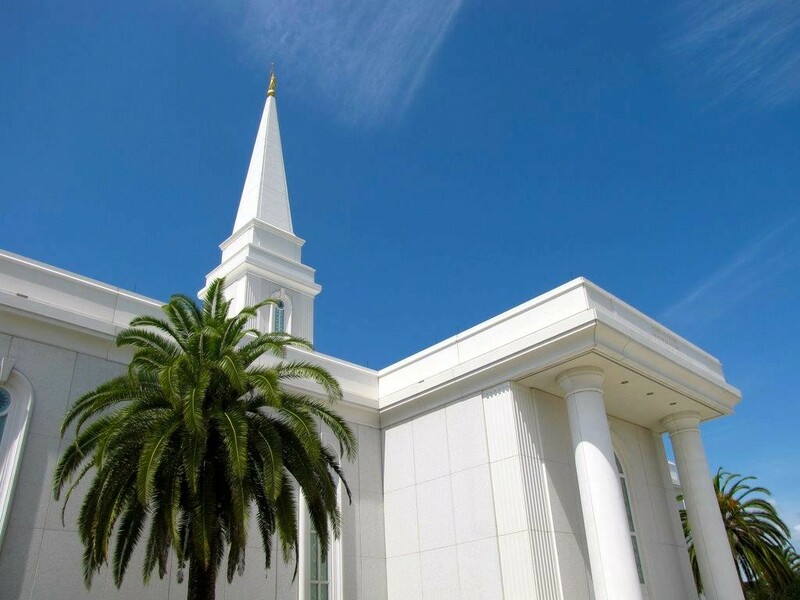 The Babylonians, an apostate people, had some understanding of temple ordinances and temple purpose, so they constructed an edifice symbolizing to them their connection to God. And using their own contrived ceremonies to imitate true temple worship, they attempted to duplicate the process of preparation for the hereafter. Again, it is clear that the Tower of Babel was built as a false temple in the city that represents the antithesis of Zion. On one side we have the holy temple of the Lord built to reveal unto His people His salvation and power; on the other side we have a false temple created by a people trying to copy and usurp God’s power. Here in the South, football, especially college football, reigns. We have massive football stadiums that seat close to 100,000 people. People spend all day Saturday watching games, tailgating, partying, and otherwise just killing time. Growing up I was not a sports-watcher; our family did not even own a TV. I was aware of sports teams and I enjoyed watching high school football and basketball games but I did not follow any professional (or college) team. My freshman year of college I lived with a couple die-hard BYU Cougar football fans. I went to many of the home games but still was not an avid fan. Over the years I started watching college football more. I watched the Cougar games and then once I moved to an area with a lot of Florida Gator fans, my love of the sport developed more. Now I can watch multiple college football games on a Saturday (some days I do, some days I don’t); I really enjoy college football. I understand how people spend so much time with it. The sport is exciting and entertaining. I find myself amazed at the abilities of the players to make plays. I marvel at quarterbacks who can throw those balls with such accuracy. I think about what is going on in the brains – physically – of the athletes; what areas of the brain are most active, what white matter pathways are involved and so forth. And sometimes I think of spiritual matters. Recently, a store for a certain company opened in New York City. This store has been described as a temple for this company’s products. Entering the store, the author wrote, was almost like entering a religious building. But this is for a religion of technology and gadgets, a false temple built up unto Mammon. I am not criticizing the store or the products (I use products from this company every day), but the author provided a sad commentary on our culture and world, without meaning to. What temples do we worship at? Do we spend Sundays worshiping at sports temples? What gods do we place before God? Do we build up altars in our homes and lives unto false gods? Are we placing ourselves onto a path that leads to a showdown between our false gods and a proverbial prophet Elijah? Do we build up Babelic towers in our lives? In Genesis we read of one early and prominent false temple built by the residents of the city of Babylon. “4 And they said, Go to, let us build us a city and a tower, whose top may reach unto heaven; and let us make us a name, lest we be scattered abroad upon the face of the whole earth. 9 Therefore is the name of it called Babel; because the Lord did there confound the language of all the earth: and from thence did the Lord scatter them abroad upon the face of all the earth.” (Genesis 11:4-9). These people built a tall tower – maybe it was tall, maybe not. It was not the height of the tower that led to the Lord’s displeasure, it was the purpose of the tower. This tower was a false temple. It was a building built to get the people to heaven; an imitation of the true temple but one without the proper power and authority. The people were trying to build themselves into heaven; they believed they could save and exalt themselves. For this great sin the people’s tongues were confounded. The Lord does not tolerate mockeries of His holy house. Continued: False Temples Part 2.